For PC players at least, Thief: The Dark Project was the flashpoint for the stealth genre. It’s now a full 20 years old, and it still boasts a thriving community, arguably thanks to Looking Glass’ publication of a level editor for the game in 1999. To mark Thief’s 20th anniversary, fans are holding a level-building contest. Through The Looking Glass is a forum for fans of Looking Glass Studios, the company that pioneered what we now call the “immersive sim” – games like Prey, System Shock, and Dishonored. The forum put out a call a year ago for members to create and submit Thief levels for a 20th anniversary contest, and now we all have the chance to see what they’ve come up with. The contest had one major rule: the level builders couldn’t use any custom assets, and had to stick to what Looking Glass was working with in 1998. There are now 24 fan-created missions and mini-campaigns available, some from long-time veterans of the TTLG community. If you’ve got Thief: The Dark Project (or more likely, Thief Gold on Steam), you can head to the forums to check out threads for each of the new missions by starting here. Or you can download them all from user Brethren, by heading here. In order to run the fan missions, you’ll need to install the latest version of a mod called TFix. You can find that and instructions on how to get going over at the PC Gaming Wiki (this site is a valuable resource for tweaking new and old games to run on your system, by the way). Once you’re up and running, you have until March 1 to pick your favorite and vote for it in the contest. The winner will be crowned Master Builder 2018 on Through The Looking Glass Forums. “Everyone shall bow down to them (unless you’re a Pagan, in which case you may throw rotten apples at them),” proclaims forum moderator Yandros. 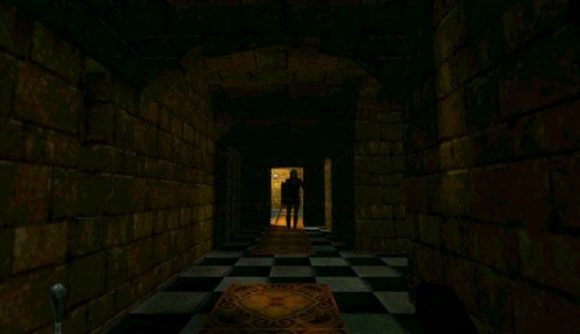 I haven’t played the original Thief in almost 20 years, but I have very fond memories of its moody, spooky city and catacombs – I’m thinking that trying these fan creations might be a perfect holiday break project.